Fracking bills are speeding through the legislature and are harmful to your water and your health. The bills, backed by the oil and gas industry, not only enable the dangerous drilling practice in places like the Everglades, but they would force local communities to accept it. Research in other states shows that fracking has caused water contamination and air pollution, massive amounts of fresh water usage, and led to declining property values. Ignoring overwhelming public opposition, HB191 by Rep. Rodrigues passed the full House of Representatives last week 73-45. There is still time to stop this bill from becoming law by defeating its Senate companion SB 318. 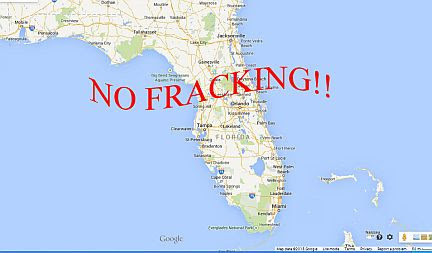 Saturday afternoon, January 30, 2016 will be a Day of Action across Florida, so come out - and bring your friends - to tell your Senators "No Fracking Way" should they vote to pass SB 318! Miami, FL: 3050 Biscayne Blvd (Outside Senator Margolis’s Office), SAT 4:45 PM EST. Point Person-Andrea Cuccaro at andrea@rethinkenergyflorida.org. Event facebook here. Tallahassee, FL: Cascades Park, SAT 12:30 PM EST. Point Person- Fran Sullivan-Fah and Others atadmin@rethinkenergyflorida.org. Event facebook here. Tampa/St. Petersburg: Clayton Lake, on the corner of Vonderburg Drive and S Parsons Avenue in Brandon,MON 5:30 PM EST. Point Person- Michelle Allen at mallen@fwwatch.org. Fracking bill HB 191 will be on the floor for final passage in the House today, Wednesday, at 3:30 in the afternoon and your calls are needed. Tell your legislator to vote NO on the bill. 1. Find your State House rep at: http://www.myfloridahouse.gov/Sections/Representatives/myrepresentative.aspx Type your address and city into the form. It will be the first person shown. 2. Call your Reps' Tallahassee (850) office. 3. Tell the person answering (or leave a message) where you live and that you vote. Thank the Rep if he/she voted on amendments (see chart below). Tell him/her to vote NO on Fracking bill at 3:30 p.m. today. The Update part of this alert is the chart below that shows how Representatives voted on amendments to the fracking bill Tuesday. Find your Representative and thank them if they voted ‘Yes’ on these amendments. Politely let them know you’re watching if they didn’t. Senate Fracking bill in committee TODAY - Call this morning! The fracking bill by Sen. Richter, SB 318, will be heard in the Senate General Government Appropriations Subcommittee on Monday at 4 pm. We can STOP this bill here. Call the members of the committee and tell them to vote NO on SB 318. They need to know how important this issue is to YOU, their constituents. (Calls are more effective than emails.) This is an election year and we are tracking every recorded vote on these bills. Forward this email to everyone you know in their areas. Sen. Oscar Braynon, V. Ch. 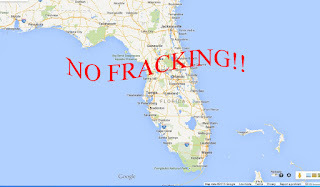 · SB 318 uses a definition of fracking which it calls “high-pressure well stimulation” (HPWS) that describes the fracking technique least likely to be used in Florida. (Florida has a limestone and dolomite geology where lower pressure acidizing techniques are most likely to be used.) So the bill ‘regulates’, and requires a study of a practice that won’t even be used here. · Acid fracking, which injects many of the same toxic chemicals into the ground, is completely unaffected by the bill. · Everything in the bill is tied to the extremely narrow definition of “high-pressure well stimulation”: the ‘regulations’, the permitting, the weak penalties, the study - everything. But the preemption is GLOBAL. It preempts ALL aspects of oil and gas from exploring for it, through producing it, to trucking it down the road, including all of the acidizing treatments that involve injecting toxic chemicals! · The bill does not provide for baseline testing of groundwater, or ongoing water quality testing. · The New York State Department of Health report states under ‘Health outcomes near HVHF (high volume hydraulic fracturing)Activity: One peer-reviewed study and one university report have presented data indicating statistical associations between some birth outcomes (low birth weight and some congenital defects) and residential proximity of the mother to well pads during pregnancy (Hill, 2012; McKenzie, 2014). Proximity to higher-density HVHF well pad development was associated with increased incidence of congenital heart defects and neural-tube defects in one of the studies (McKenzie, 2014). 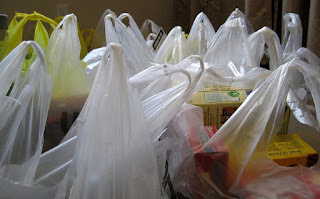 Sen. Bullard’s SB 0306 Disposable Plastic Bags will be heard in the Senate Environmental Protection and Conservation Committee on Wednesday, January 20th at 1:30 p.m. This is the second week of session so there will be time to move the bill further in the process this year. Please call committee members and urge them to vote YES for this good bill! Be sure to thank Chairman Dean for putting the bill on the agenda. SB 306 authorizes coastal municipalities with a population under 100,000 to establish a pilot program to regulate or ban plastic bags. 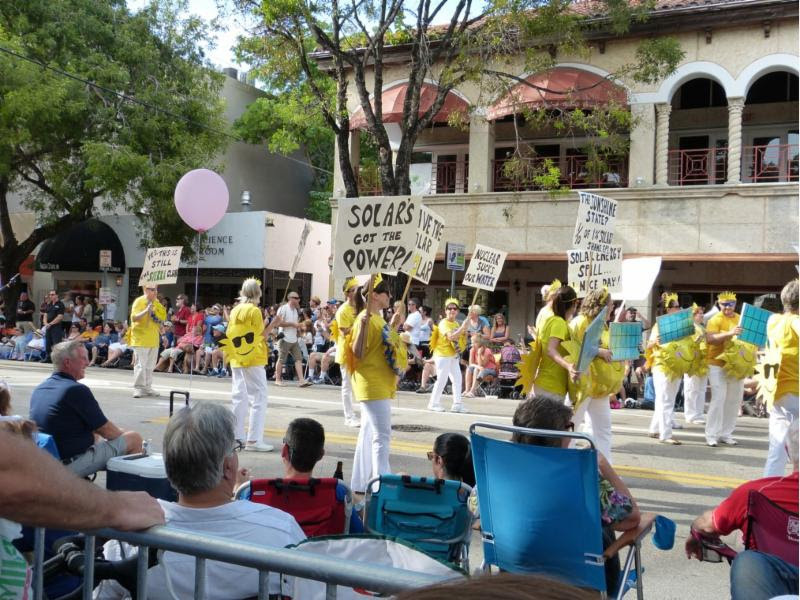 The municipality would have to pass an ordinance establishing the pilot program by the end of this year that would start no earlier than Jan. 1, 2017 and would expire on June 30, 2019 (2 ½ years.) During the pilot program the municipality would have to collect data relating to the impact of the regulation or ban, submit a report to the governing body of the municipality at a public hearing by April 1, 2019, and provide a copy of the report to DEP. They end up in water bodies where they foul the environment for wildlife. Bags or pieces of bags are mistaken for food, especially when they are brightly colored and moving in water. When they are ingested by animals they can choke them or cause blockages that can be fatal. Plastic bags contribute to the plastic gyres in the world’s oceans and pose threats to ocean life. They do not biodegrade because polyethylene is not recognized by microbes as food. However, they do break down in sunlight into smaller and smaller synthetic granules that will remain in the environment (and interfere with the food web) for a long, long time. Bringing your own bag is simple and inexpensive. It’s the responsible thing to do! Stop the pollution. Make the call. 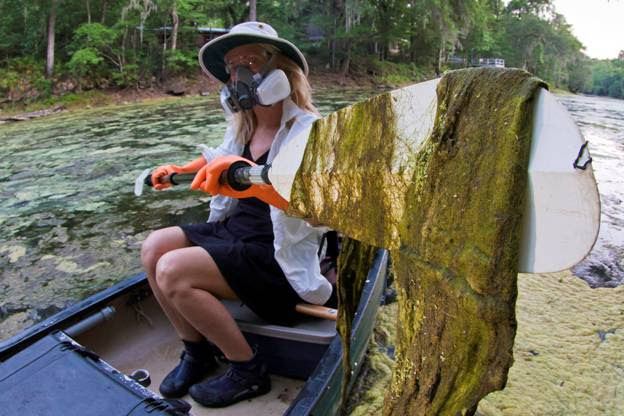 Florida's beautiful lakes, rivers, springs and estuaries are in peril. Please call your state legislators today and urge them to"support amendments to eliminate loopholes and deficiencies in the 2016 water bills," SB 552 by Sen. Dean and HB 7005 by Rep. Caldwell, that will be considered next week. In December, Sierra Club Florida and other Floridians' Clean Water Declaration campaign coalition partners delivered a letter signed by 106 organizations and businesses to Florida Senate President Andy Gardiner and House Speaker Steve Crisafulli, calling for real protection of the state's imperiled waterways. The letter was also sent to all 160 of Florida's state legislators urging them to amend SB 552 and HB 7005. But we need your voice. Deliver the Message: "Support amendments to eliminate loopholes and deficiencies in the 2016 water bills." The bills as currently written do not satisfy the needs of our waters and neglect many opportunities to create water policies that serve the public's interest. Various regulated industries, agriculture, and their lobbyists are leading a retreat from protective policies and are instead relying on the same tools that have, for decades, failed Florida's citizens and our waters. 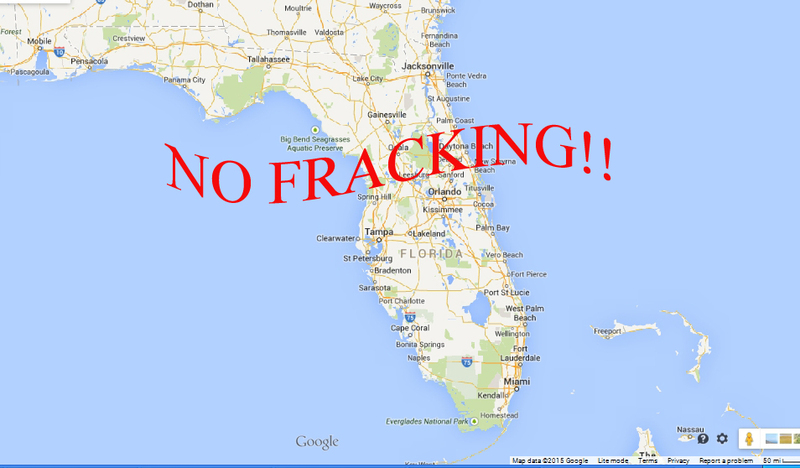 Sierra Club Florida and our allies have proposed these amendments to make the bills worth supporting. They fall into these categories: improving water quality, ensuring sufficient water for natural systems (including a focus on water conservation), springs protection, and making sure that tax dollars for water quality and/or quantity are used cost-effectively and in the public interest. If the amendments are rejected and the bills are passed as currently written the waters of the state will suffer for it. These bills are not good enough. Florida's waters need more than halfway measures. Please contact your legislators and urge them to support these amendments when they come to the floor. Call your state representative and senator now! Thank you for taking action and for all you do for Florida's environment!